Nothing kills relationships more than familiarity. Love partners must freshen things up, every once in awhile, to keep the love alive. At least, that’s what Oprah says. And since we, Cart2Cart, consider clients to be our lifelong soul-mates, we won’t ever get tired of surprising them. 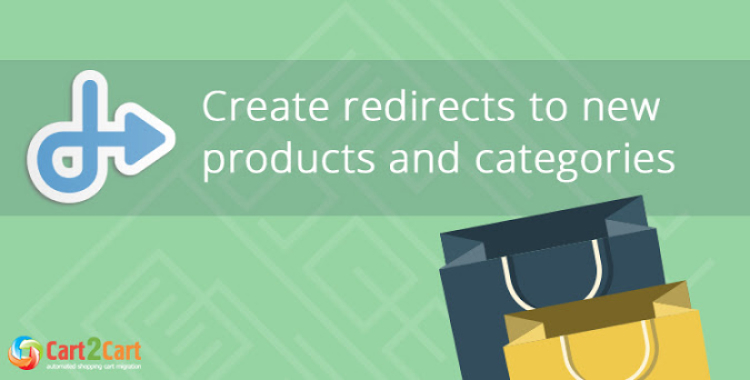 This time, our gift is the new additional option - ability to create 301 SEO redirects to your new products and customers after migration. One more proof, that Cart2Cart+customers is a marriage made in heaven. Here’s how the new option works - we create redirects on your target cart, take a URL of your source store product (or category), the URL path to it without domain name address, and make it a Source URL in a redirect settings. Then, we put appropriate new product (category) page as the Target URL, and, thus, the redirection starts functioning. All you have to do is keep your old domain name - customers and google won’t even feel that you have switched. Activate it, by simply putting a tick near the Create the 301 redirects on your target store after migration additional option on Migration Wizard, and stop worrying, forever, about losing SEO rankings after re-platforming. Note: the option is paid and costs $59. More details about it can be found here. Cart2Cart wishes you good luck with your online business.